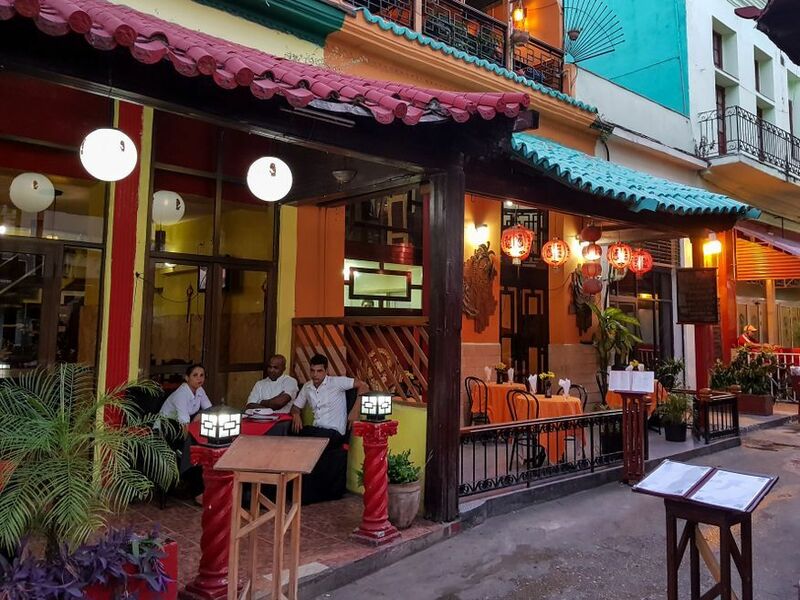 This has to be the best Chinese restaurant in Havana. 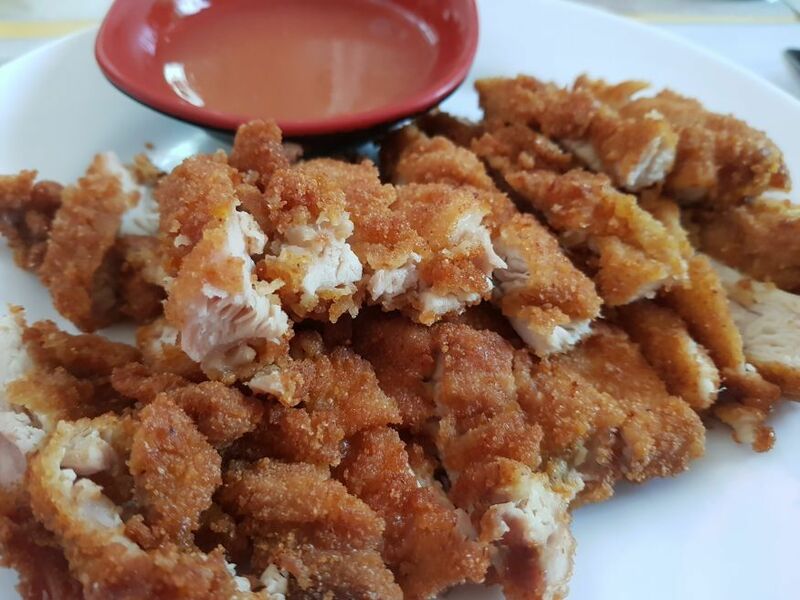 Tien Tan Restaurant specialise in Chinese food and its delicious. Quite cheap at only $7.90 CUC a main and $2 for a cool beer. Theres only so much chicken, rice, pork and beans cooked Cuban style one can handle before you get craving for somthing different. 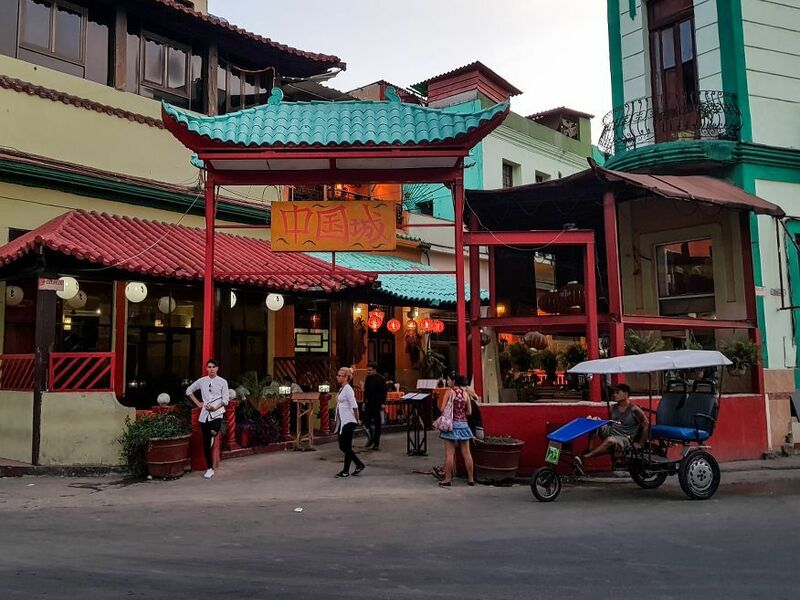 I had heard there is a Chinatown in Havana so figured there must be some good chinese restaurants there too. Surely I would get some greens here. 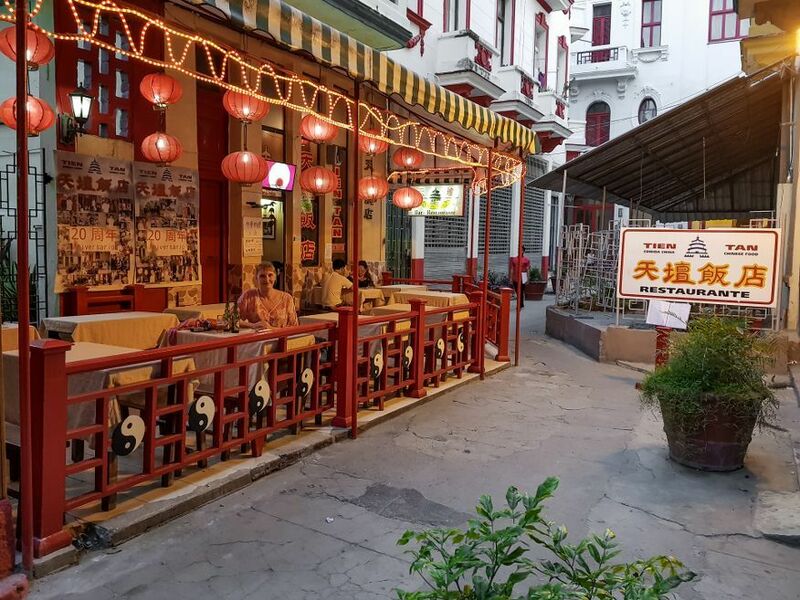 About a 5 min walk from the Capatoilo, Tien Tan restaurant is quite small with little bench seating outside. Inside in nice and cool with proper tables and chairs. We choose to sit outside on our second visit because there was a very good little Cuban band playing right out front. Service was really quick and the waiteress spoke very good English. Didnt take long before we got our first round of cool beers. 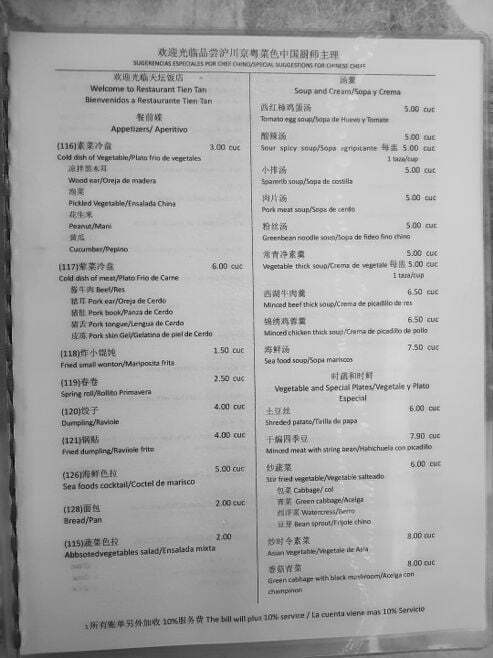 The menu is quite big and takes a bit of reading to figure out what you want. I did see another table order some that looked like sweet and sour pork which did look good. Gosh so much to choose from and not sure what the dishes would come out like as they were named a bit different to what were used to seeing. 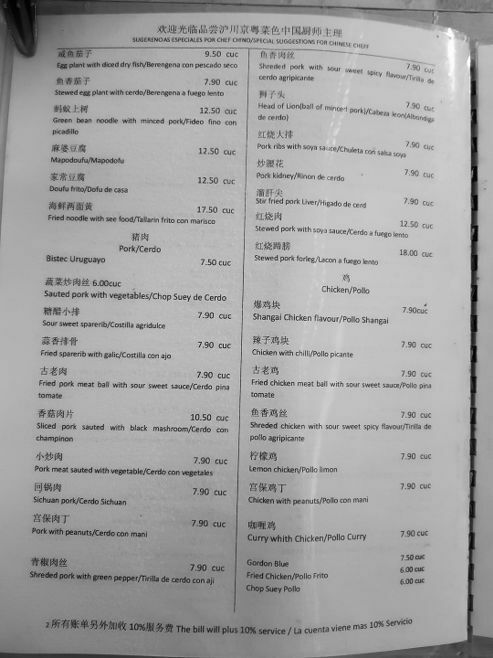 I finally ordered the Shredded Pork with Green Peppers $7.90 CUC and Garry ordered the Lemon Chicken $7.90 CUC plus a plate of fried rice. 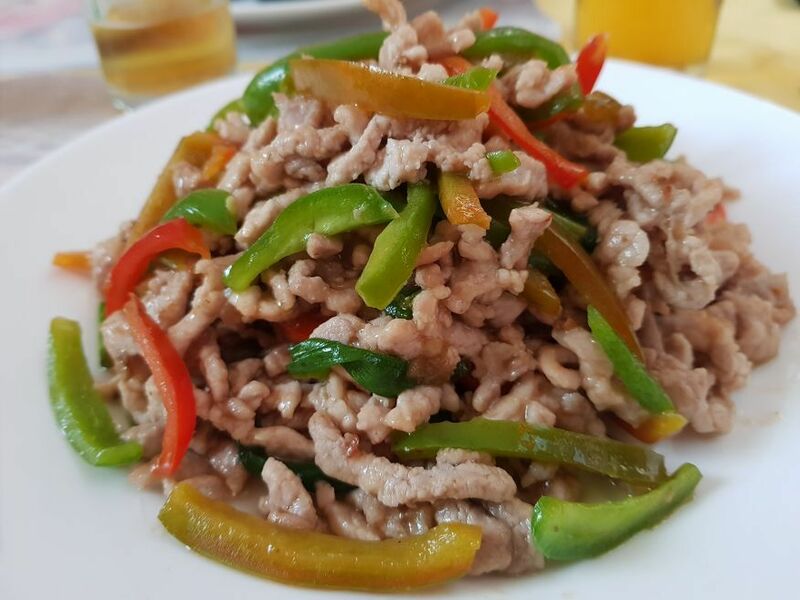 I totally loved my pork, nice and tender and plenty of peppers, very tasty. Garry enjoyed his chicken, he said it was also quite tender even though it was deep fried. The fried rice was ok too. Total cost dinner for 2 with 2 beers $19.80 plus the extra 10% tax. Pretty cheap night out. 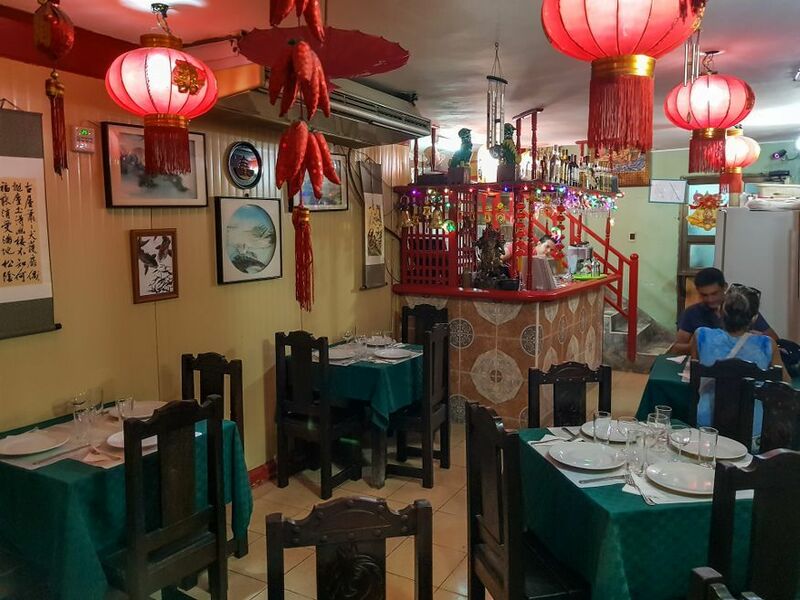 Best Chinese in Havana! Would definitely go back again, been back twice now already! Total cost of the meal for 2 with beers was only $19.80 plus tax.